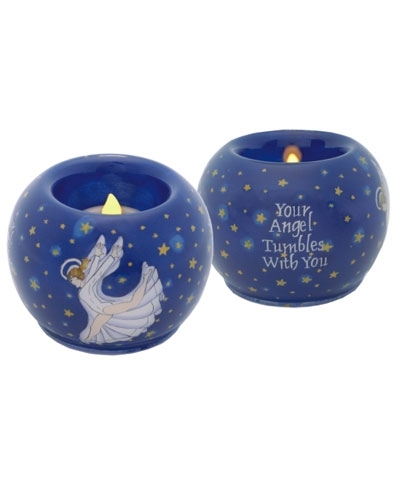 "Your Angel Tumbles With You" Candle Holder. Add your favorite scented candle for the perfect Holiday or year around decoration. Hand painted from the inside. Packed in a fabric covered box for gift giving.